There is no one answer to the funding challenges that nonprofits face as a result of the recession. The management team and board need to work together to problem solve to find the solutions that will work specifically for them. In "Tough Choices for Tough Times" presented by Ventureneer.com on July 29, board members and nonprofits executives will learn a process to help their nonprofit. Nonprofits face unprecedented challenges as a result of the recession. Contractions in funding are forcing nonprofits to adjust what they're doing, how they're doing it and how they are funding it. The road ahead is filled with challenges. Developing a process for asking the right questions of the right people and evaluating the solutions will keep nonprofits on track. 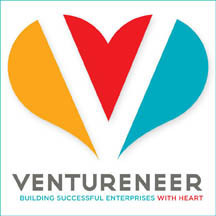 Ventureneer.com presents a FREE webinar, "Tough Choices for Tough Times" on Wednesday, July 29, 12n - 1pm ET to help nonprofits to develop a system for working through their problems and developing and evaluating solutions. Co-presenters Judith E. Katz, President, On Target Strategies and Tanya Lewis-Kelly, Regional Director, Volunteer Consulting Group / boardnetUSA.org (VCG) represent the consultant and nonprofit point of view. "Right decisions are often the hard decisions. But in the end the organization will be stronger for those decisions," said Tanya Lewis Kelly. Self reflection does not come easily to most people or most organizations. Yet, we know that to be at the top of our game, we need to be clear and rigorous about our goals, analyze our process and our achievements and go back and do it over and over again. Further, we recognize that for an organization to be a winner, everyone must share the same expectations and be committed to the same outcomes. This now becomes even more important when we face a serious economic crisis that affects how we operate and what we can afford to do. Who are the right people and how do you involve them? What is truly your core mission? What are essential programs and services and how do you know they are effective? Are all staff created equal? How can you stretch your dollar? Judy Katz explains, "it is important to understand that tough choices can be robust choices, carefully considered, that can position the organization to not only survive this current crisis but ride the wave for future success,"
The webinar is ideal for senior staff and board members of nonprofits who are facing resource challenges. Judy Katz, President, On Target Strategies which helps nonprofits and small businesses build a successful future. As Chair of the Governance Matters (provides nonprofit leaders with the resources needed to strengthen their boards and serve New York's communities better) Roundtable Committee, Judy spearheads program planning for senior nonprofit managers and board members focusing on improving their organizations' effectiveness. Judy's seminars for SCORE, affiliated with the Small Business Administration, cover business planning, starting a nonprofit and marketing. She was VP of Corporate Planning and Mergers and Acquisitions for American Express. She redesigned nationwide community relations for Barnes & Noble and was President of the two-year, career oriented college, the Katharine Gibbs School. She has served as president of two nonprofit boards and as a senior manager and consultant/trainer in education, health and social service agencies. Tanya Lewis-Kelly, Regional Director, Volunteer Consulting Group / boardnetUSA.org (VCG) provides board consulting and recruitment assistance to charter schools, youth serving agencies and other local organizations and works with corporations to prepare their employees for board service. Prior to joining VCG, Ms. Lewis-Kelly served as Deputy Director of the Harlem Community Justice Center. Ms. Lewis-Kelly also worked at the Children's Defense Fund, Westchester County Press and the U.S. House of Representatives under Congresswoman Nita M. Lowey. Over the years, Ms. Lewis-Kelly has been an active member of the Black Democrats of Westchester, Delta Sigma Theta Sorority Inc., St. Charles Borromeo Church's Catechesis program in Harlem and "Class Mom" at The Spence School in New York City. Ms. Lewis-Kelly has a B.S. from Cornell University and was a Public Policy Major at NYU's Wagner Graduate School.